Wolf Commercial Real Estate, a leading Philly commercial real estate brokerage firm with expertise in Philly commercial real estate listings and services, now has available highly visible Philly retail space for sale or lease at 735 Bethlehem Pike Montgomeryville PA. 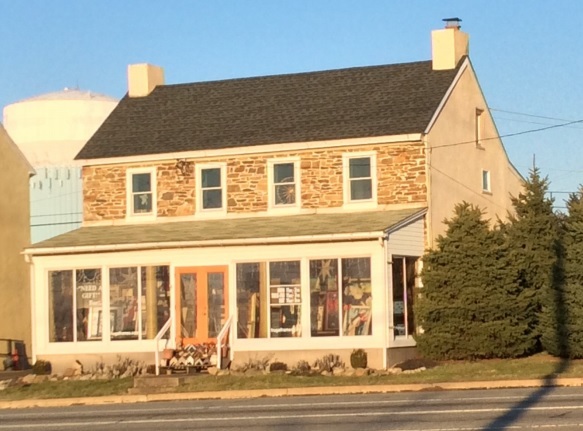 This well-located retail space in Philly contains 3,234 square feet of retail space for sale in Philly in the conveniently located community of Montgomeryville. The lease price for this retail space in Philly at 735 Bethlehem Pike Montgomeryville PA is negotiable. For information on the sale price for this retail space in Philly, please contact Wolf Commercial Real Estate, a Philly commercial real estate broker that specializes in Philly commercial real estate listings and services. Situated at the five-point intersection of routes 202, 309, and 463, this Philly retail space for sale or lease at 735 Bethlehem Pike Montgomeryville PA is ideal for a variety of professional or retail uses. This retail space for sale in Philly is close by Wawa, Dunkin’ Donuts, Outback Steakhouse, Red Lobster, and Ruby Tuesday. This retail space in Philly also is a free-standing building. This Philly retail space for lease or sale is available for immediate occupancy through Wolf Commercial Real Estate, a Philly commercial real estate brokerage firm that specializes in Philly commercial real estate listings and services. There are strong demographics within the immediate area of this Philly retail space for sale or lease with the average annual household income within a five-mile radius of this Philly retail space for lease or sale at 735 Bethlehem Pike Montgomeryville PA being reported as $101,510. 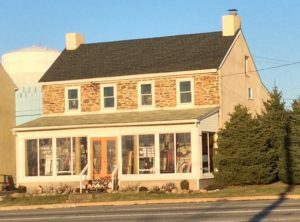 It is about an hour’s travel time from this Philly retail space for lease or sale in Montgomeryville PA to Center City Philadelphia. There also is monument signage available at this retail space for sale in Philly. There are high daily traffic counts passing by this retail space for sale in Philly that is available through Wolf Commercial Real Estate, a Philly commercial real estate broker that specializes in Philly commercial real estate listings and services. The total population within a five-mile radius of this Philly retail space for lease or sale is nearly 144,000. For more information about this Philly retail space for sale or lease at 735 Bethlehem Pike Montgomeryville PA or about any other Philly commercial properties for sale or lease, please contact Tony Banks (215-544-6040; tony.banks@wolfcre.com) or Jason Wolf (215-799-6900; jason.wolf@wolfcre.com) at Wolf Commercial Real Estate, a Philly commercial real estate brokerage firm. Wolf Commercial Real Estate, a full-service CORFAC International brokerage and advisory firm, is a premier Philly commercial real estate broker that provides a full range of Philly commercial real estate listings and services, property management services, and marketing commercial offices, medical properties, industrial properties, land properties, retail buildings and other Philly commercial properties for buyers, tenants, investors and sellers. Please visit our websites for a full listing of Philly commercial properties for lease or sale through our Philly commercial real estate brokerage firm.